Are you looking for an innovative easy to use photo editing software that will enable you to enhance the appearance of your digital photos? Look no further, Fotoworks XL is here for you. This photo editing software Windows 7 is a powerful image editor that holds for the editor all vital top photo editing software series. This picture editor is for all those who want to enhance the appearance of their photos. Other options include cropping, rotating, adding texts among many others. All of these options can be adjusted to meet the needs of the interested parties. With extensive photo editing features, the software is known to be straightforward and easy to understand. Its image editing functions are arranged, and this ensures better control when editing your pictures. It requires no training, and it is the best option for beginners of all ages because it has easy to use features. 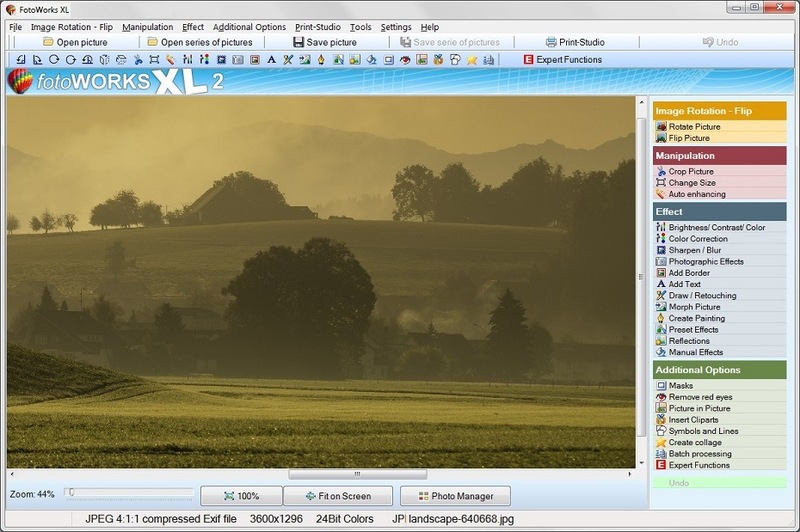 If you are a beginner, the presence of photo editing software free download for Fotoworks XL allows you to practice and acquaint yourself with the software before deciding to buy one. Download the Photo Editing Software for free! 1. The easy to use photo editing software Windows 7 includes all programs that are associated with photo editing and includes features of all window operated machines including top photo editing software free download. 2. 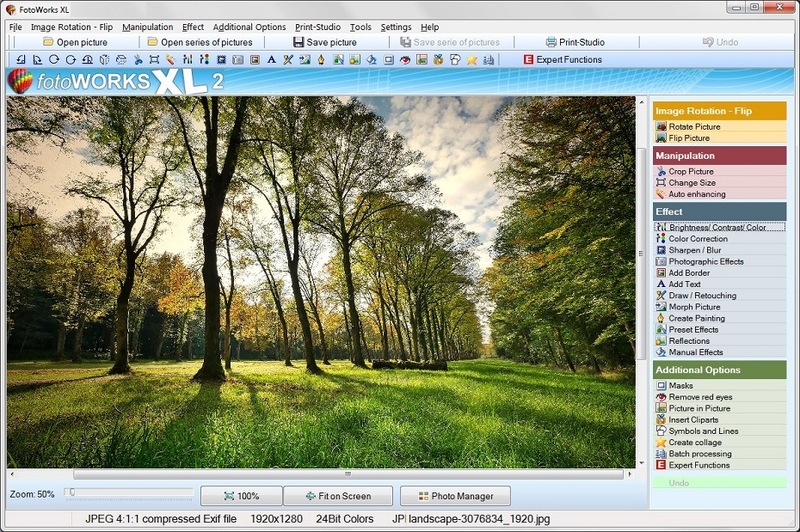 Fotoworks XL offers regular updates on the changes and progress of the photo editing software that is inclusive of detailed manuals and videos that enhances better understanding of the software. 3. 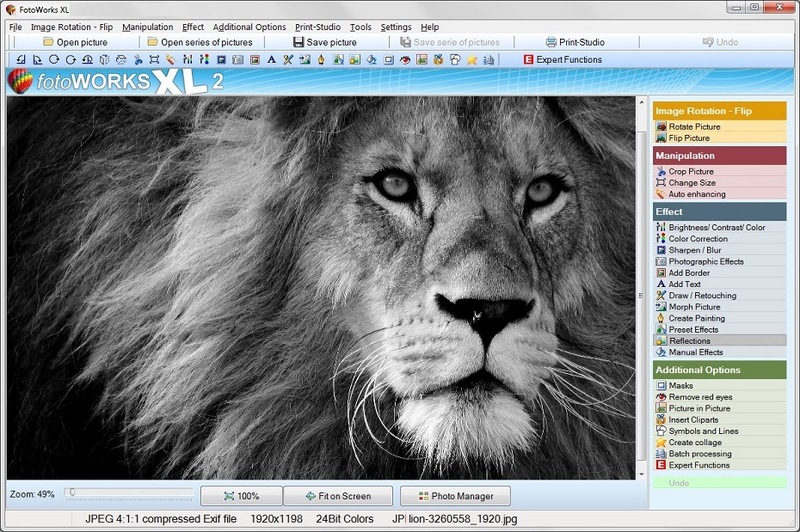 Fotoworks XL contains functions such as photo effects, cropping, rotation, light effects, filters, image manipulators, masks, inserting texts and clipart options, color adjustments among many others. 4. The photo editing software gives you the freedom to move objects into other photos, copy and pasting of compelling images and objects among many other options. The post-processing of digital photos by use of a top photo editing software is what is known as photo editing. It aims to make images look better and devoid of any blemish. An example is where a landscape is edited to make it appear more green, welcoming and appealing. With a variety of exiting photo editing effects, you can manipulate your photos to fit your wildest imaginations. There are additional functions within the photo editor like the integrated printing studio. Other editing options include the creation of large and small posters, and photo albums and calendars. There is an innovative tool that allows you to edit your images in an advanced way known as screenshot photo editing software. The tool is one of the many devices that have revolutionized the print media and at the same time made photos expensive. Your experience and knowledge of photo editing is thus a necessity to produce the best photos that people admire and love.